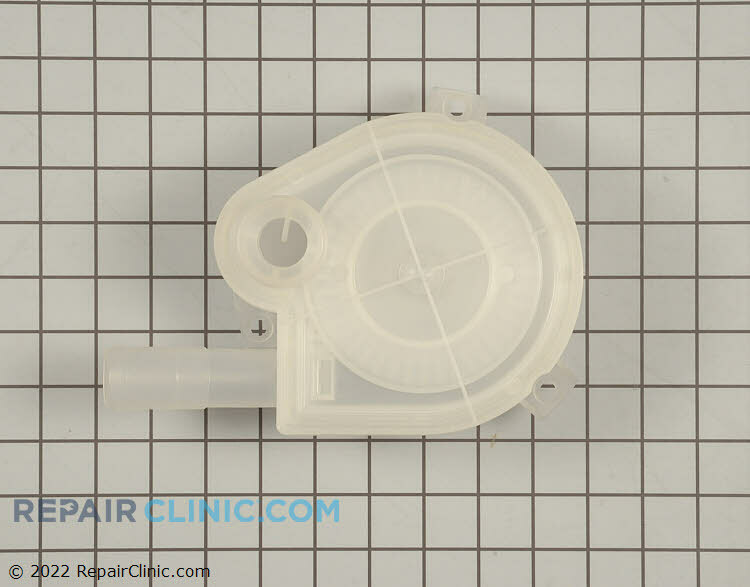 Washing machine drain pump assembly. 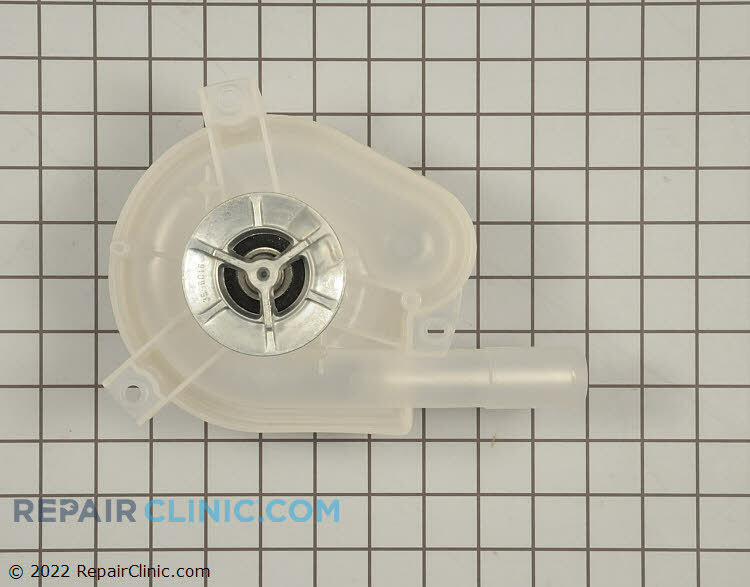 If the drain pump is clogged, damaged, or defective, the washer won't drain properly. This drain pump has been updated by the manufacturer. It no longer uses a mounting plate -- instead, the pump mounts directly to base of the washer. 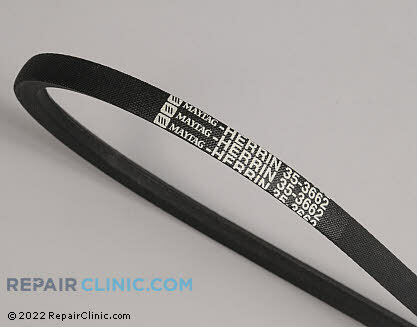 The drive belt wears out over time. You may want to replace the drive belt while you've taken the washer apart.